Limited edition screen print approximately 50 x 40 cm. Signed and numbered. Print run of 100. Printed with black and 2 metallic inks on cream paper stock by The Garudio. 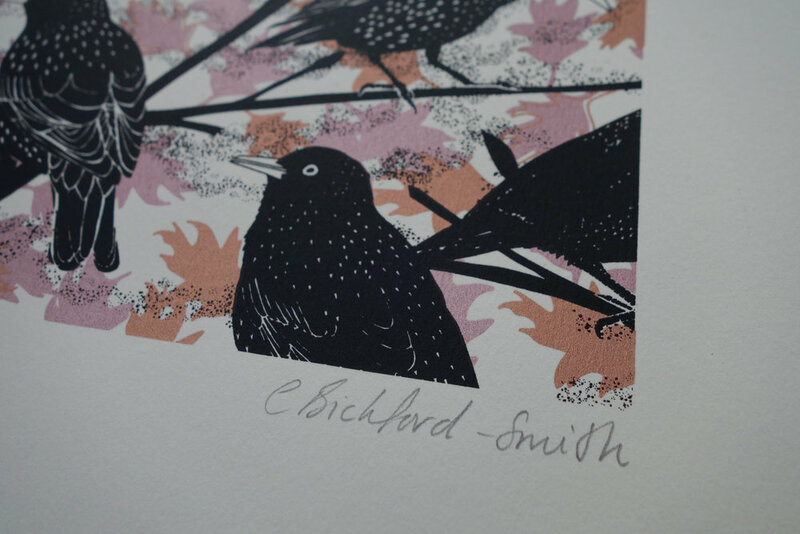 Each print is unique due to the hand made nature of the process. Designed to fit directly into a 50 X 40 cm frame. The frame is a regular mass-produced size so can be brought from stores such as Habitat. Please email me for further details if you are interested.